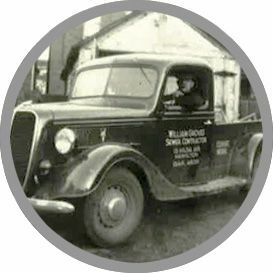 For over 85 years, Wm. Groves Limited has provided award-winning services to the Greater Hamilton Area’s residential, commercial, industrial, institutional and municipal clients. As a well-established, highly respected firm, we are fully insured, bonded (according to regional requirements) and we can also provide bonding for private projects as well. Have a clogged, broken or plugged sewer? Our emergency services are available 24 hours a day, 7 days a week to resolve your sewer problems, as well as repair any broken water services, watermains or fire hydrant lines. 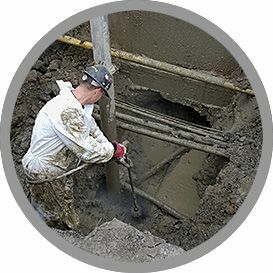 As licensed master drain layers, our 40-strong, highly qualified staff can clear, service, repair and/or install all types and sizes of sewer services — from 1-1/4” to 72”, as well as water services ranging from 1/2” to 48” in diameter. In keeping with our company’s “safety first” mindset, we are committed to the health and safety of our workers and all who are involved in our projects. Wm. 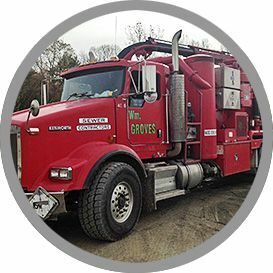 Groves Limited is fully licensed, insured and bonded in accordance with regional and municipal requirements. To request services, contact Wm. Groves Limited, today!